This box made me very very happy. The last Lootaku I reviewed was not really my cup of tea (all G.I. Joe stuff, not something I geek out about), so I’m especially thrilled with this one because the Avengers are awesome, obvs. First of all, the box. The design of the box is such fun, like a little treasure chest. It’s slightly marred by the labels on the top, but it does come from Hong Kong and contained fragile stuff (ooooh!) so what can one expect? It’s well sealed, but easy to open with a knife (careful with those sharp things kids). … and the first thing I saw was ‘MARVEL’. Clearly the first thing out would be the plushie. An Iron Man plushie. How completely incongruous yet totally cute. See how adorable that soft little face is? I want to squish him. I know my daughter is going to be claiming this one for her toy collection. 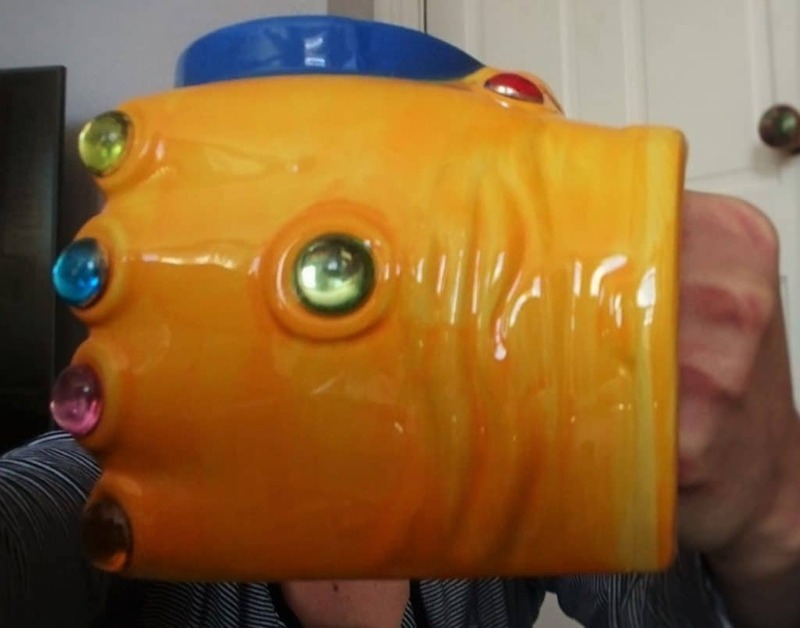 Next up, the mug. This is why the fragile sticker. At least I can pretend. Tempting though it is to use it for my morning tea, it’s going to be added to our family collection of cool molded mugs. In any case, I don’t think it includes the gem for complete mastery over one’s panic when your daughter isn’t ready for school in good time. 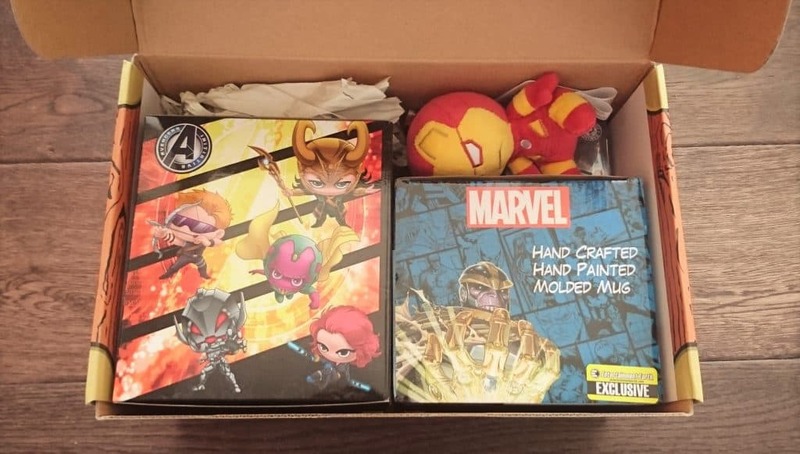 Incidentally, the box menu mentioned it is left handed because the Mad Titan always wears it on his left hand. Good job with authenticity. Next up, mini bobblehead time. The box contained one of twelve possible Captain America 3-related bobbleheads. This little guy is Crossbones. He’s the main villain in the movie (I’ve not seen it yet dammit). So he’s not that colourful, but pretty badass. And he’s cute as a bobblehead. I’m tempted to put him on the dash of my car so he can bob away during the school run. Another monochrome one. This dude is The Punisher, and those of you who watch Daredevil on Netflix, or are into Dolph Lundgren in his 80s fame will be very familiar with him. Though I have to say he’s not this small or round. Isn’t it funny how these crazy bad guys can be transformed into something with a very high cute factor? Last up, a big bobblehead. 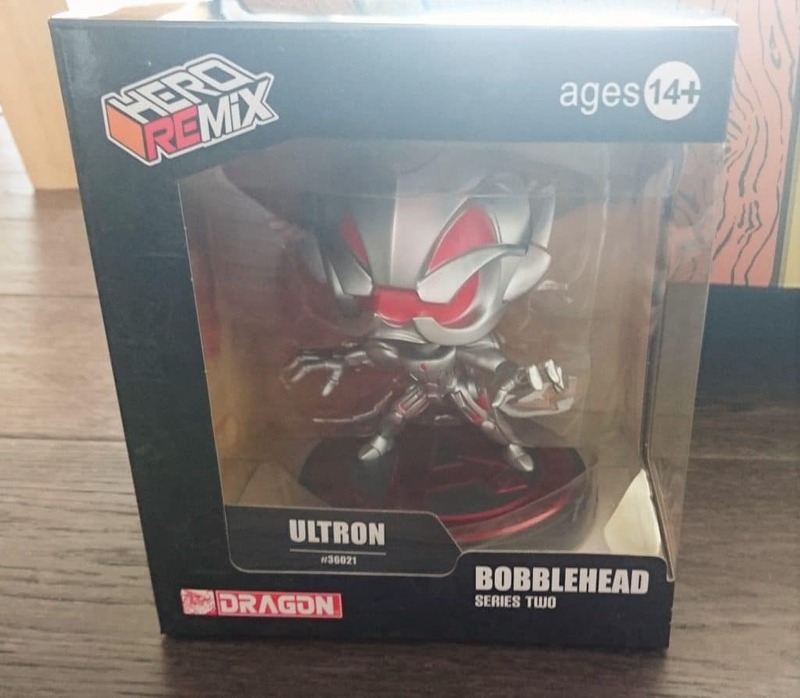 Yes, it’s Ultron. He looks terrifying. This kind of reminds me of the Funko Pops but with edges. Similar size and bighead proportions, but proper scary. Pops are fun, but the baddest villain still looks sweet. Kind of like the keychain and mini bobblehead above. This guy just looks like he wants to rip your head off. His head does indeed bobble, but he’s definitely too big for the car dash. And would probably scare young children. I think my husband will like it. Finally the menu, which was at the bottom of the box. I rarely bother paying much attention to these, though I do like that it’s not at the top of the box. 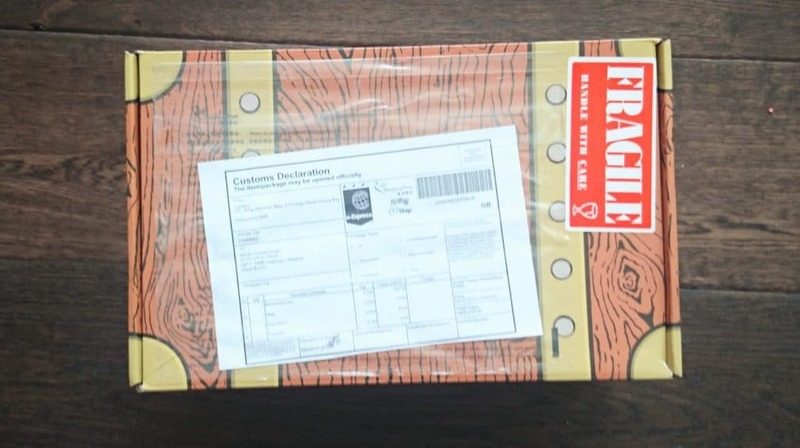 I hate spoilers, and prefer to unpack a box with the theme and each item being a surprise, rather than being told everything as soon as I open it up. 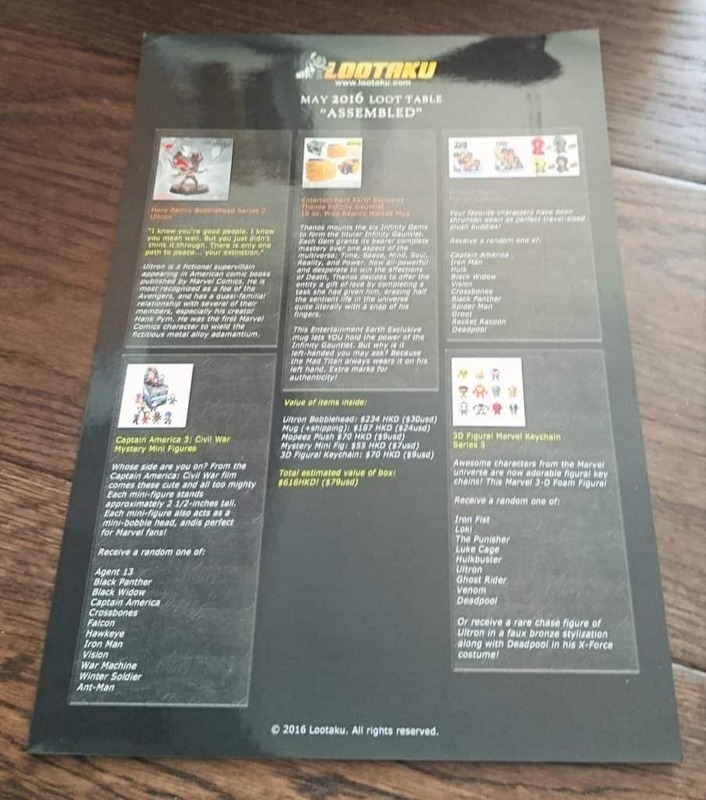 Anyway, it gives you a list of the possible items you might get in the random selections (plush, keychain, mini bobblehead), plus a bit of info on the other characters. It also gives the approximate value of the items so you can work out of you’ve gotten a good deal. So I’m going to get out my calculator (or rather open the app) and see how close it is. Prices and values are given in Hong Kong dollars with approximate US dollar equivalents. 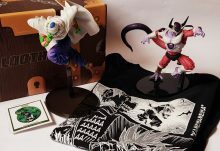 A one month subscription is $380HKD/$49USD. According to my currency converter this is £33.45. There are two shipping options, approx. £12.76 for 7 – 14 days or £26.05 for 2 – 5 days. Personally I think this is a little steep, but then HK is a long way away. OK, the contents. Using the magic of google I’m going to find the exact match where possible, or the closest alternative, and give the UK price. As it happens I found everything on Amazon. OK, so this is pretty damn good value this month. 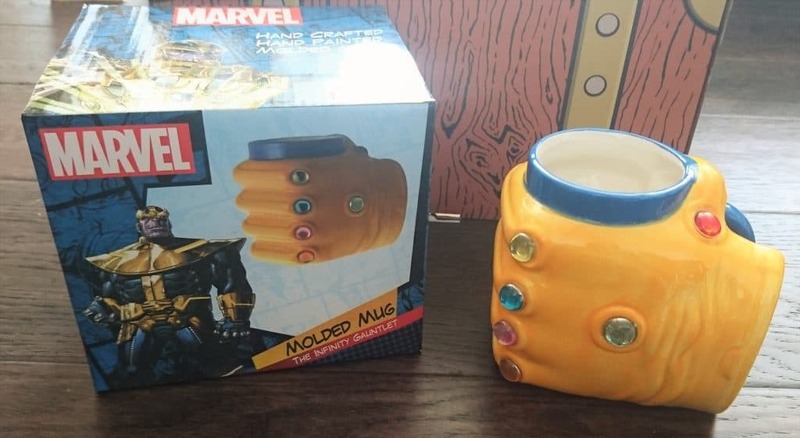 It has to be said that a big chunk of that is the mug and the Ultron bobblehead, they ain’t cheap, but it’s therefore even more awesome that two fairly high-value items are included. 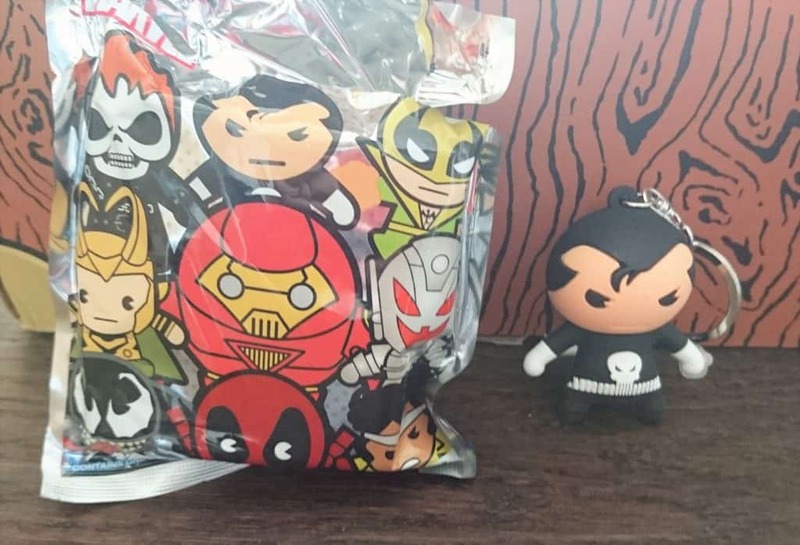 Plus the adorable squashy Iron Man plushie. I love him so much. 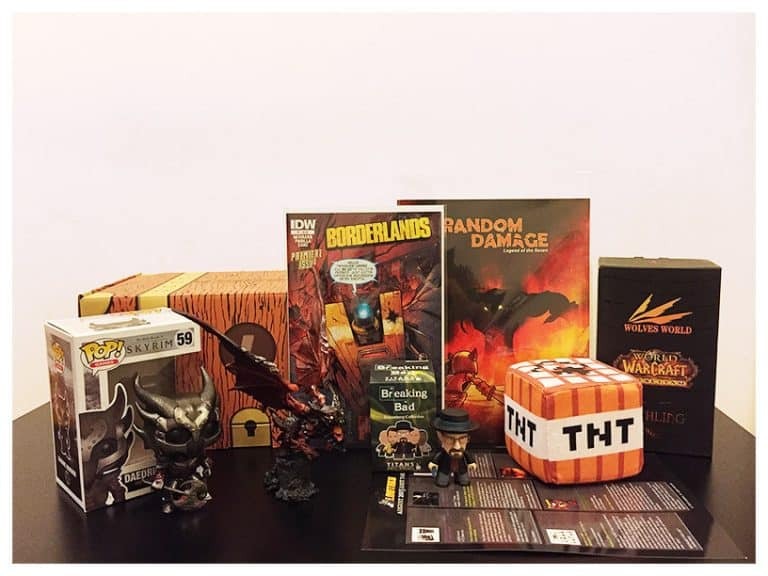 I loved this box. 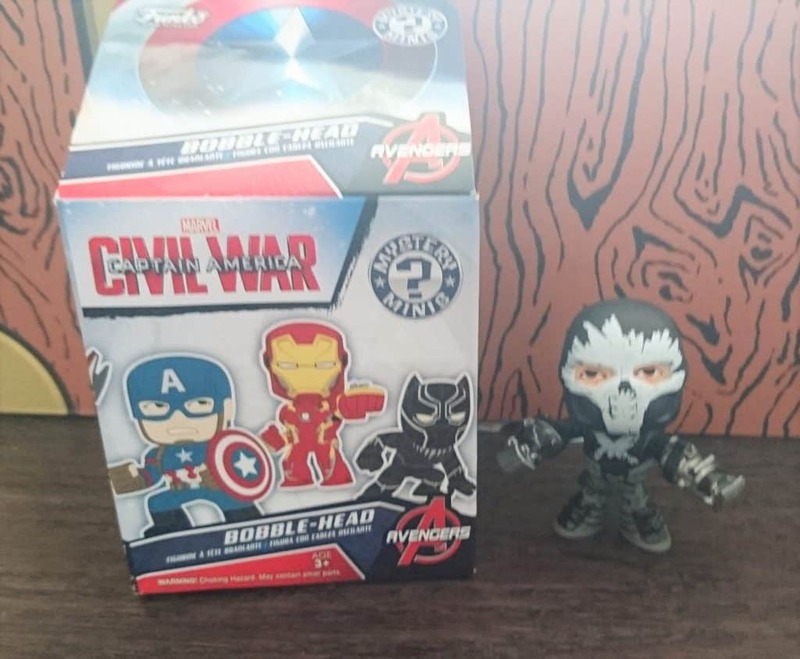 This is because I am an Avengers fan, so these goodies all seriously float my boat. 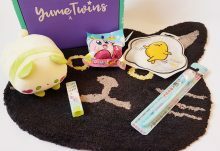 And while plenty of geeks will disagree, preferring to hoard the entire contents like Gollum, I like that there is something in here my little girl will like (plushie) and I can share everything with my husband. Though we are both equally geeky so he’ll love everything anyway. Looking back on previous Lootaku boxes, some of there themes are, in my opinion, a little niche, like the G.I.Joe/COBRA box I reviewed. Geek taste is incredibly wide, and I’m sure all of their boxes do well, but my personal taste is towards comics, sci-fi, and gaming. Well, my husband is more into gaming than I am, but nonetheless, our tastes do mesh. Oh, and our daughter loves comics too. That’s my girl. The value this month is really superb. Even including postage and the higher price of a single month subscription, you get way more than you paid for. Of course these things are always a gamble, and there’s no guarantee you’ll like a particular month’s theme, but this one is awesome. Awesome. 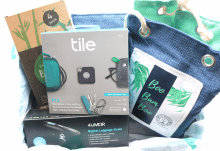 Great products, well packaged, dream theme, and FANTASTIC value. Great job Lootaku!